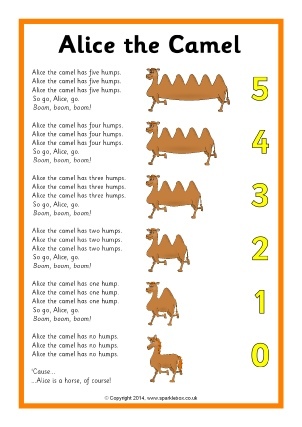 Our printable resources for the popular counting rhyme, Alice the Camel. A colourful banner for your ‘Alice the Camel’ display. 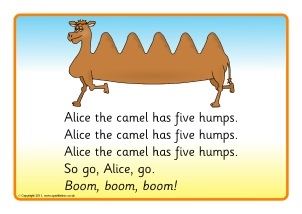 A set of A4 visual aids to accompany the number rhyme ‘Alice the camel...’. 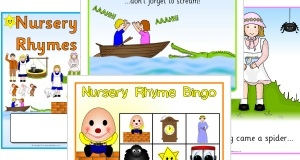 A printable sheet featuring the words to the ‘Alice the Camel’ nursery rhyme in a simple format for use with children. 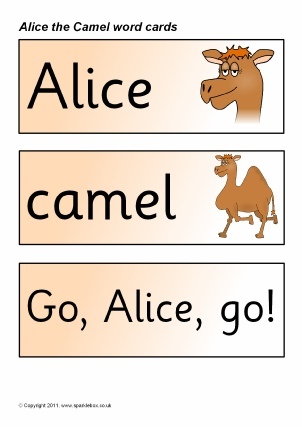 A set of A4 number posters to accompany the rhyme ‘Alice the camel...’. 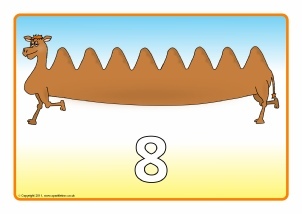 Simple printable word cards linked to the number rhyme, ‘Alice the Camel...’. 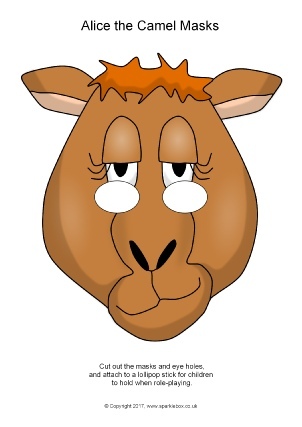 Simple printable masks to use when singing the popular counting song, Alice the Camel. Includes colour and black and white versions of Alice as the camel and also the horse.